an employee team building activity, appreciation event or holiday party. collaborate on ideas, inspire and support one other, and enhance their creative confidence. 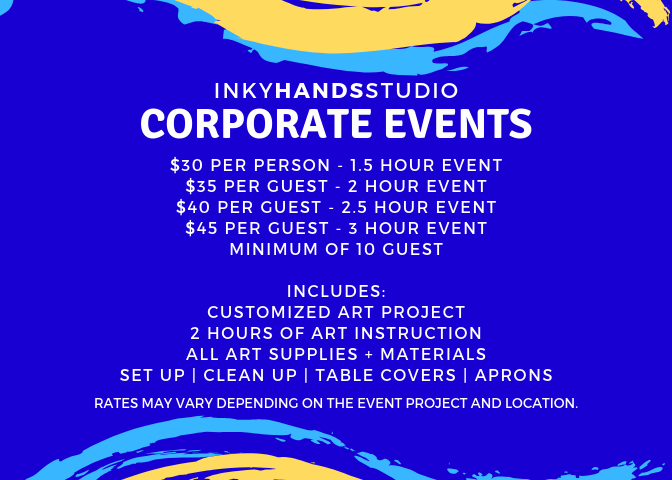 Coordinate with Inky Hands Studio to customize the art project and decide how long your event will run. Event Photos: Our instructor will take photos during your event and share them with you. Please let us know how we can make your event extra special.